If you intend to freeze the pesto do not add cheese before freezing. Instead add when cooking. To make pasta, gently fry a ladle of pesto in olive oil for a minute. Add boned black olives and toss the al dente pasta with a bit of the cooking liquid. Serve with more grated cheese. Grill the bread lightly. Rub a garlic clove on the toasted surface of the bread. 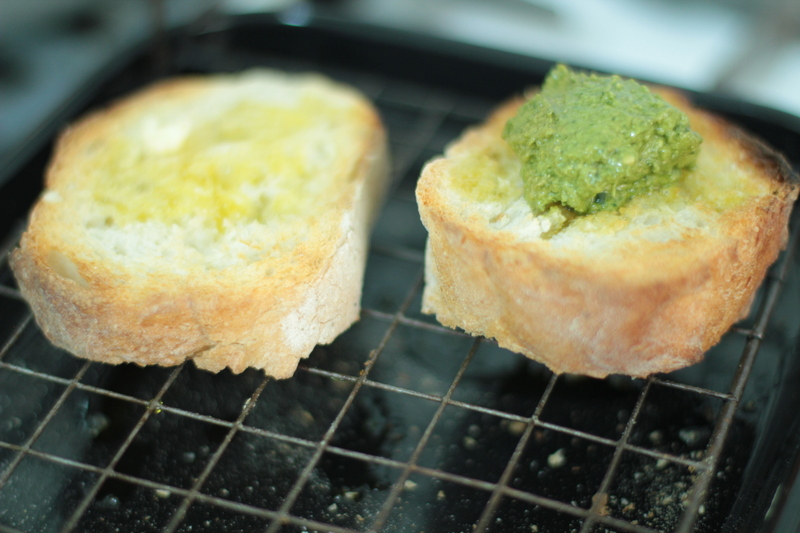 Sprinkle some olive oil and add a teaspoonful of the pesto. Mount with a slice of tomato and the sliced goat’s cheese. 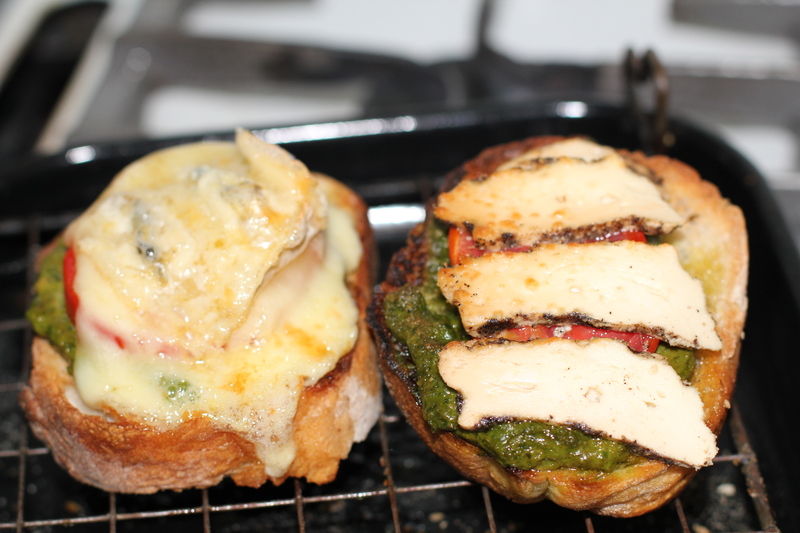 Place under hot overhead grill or in the oven until cheese melts. Other cheeses may be substituted. For pesto potatoes boil baby potatoes until cooked. Mix in pesto and place in oven or under grill until they get some colour.